In November 2017, I was fortunate to get an NLM Michael E. Debakey Fellowship in the History of Medicine to explore his wartime service and contributions. Like many, I knew he had been in the Army in WWII and wanted to find out more about what he had done. What I am finding is patchy, yet illustrative. First, a thumbnail of DeBakey’s service: he was not yet a nationally-known surgeon—he was 34 years old and a junior faculty member at the Tulane Medical School. He joined the Army in 1942, was briefly a surgeon at an Army hospital in Mississippi, then for the rest of the war (and into 1946) was at the Surgeon General’s Office (SGO) as a staff officer in the Surgical Consultants Division. 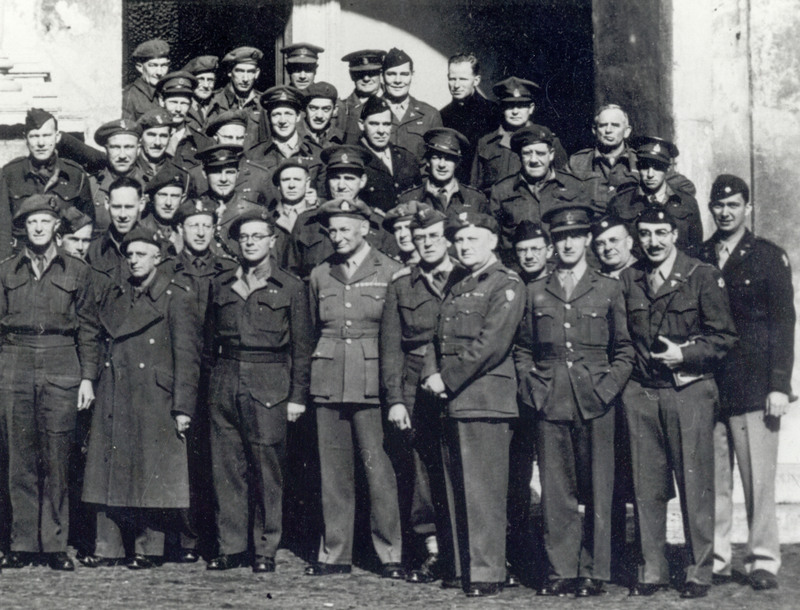 The Army ran a very large medical system and wanted to be both effective and efficient, so getting the right people in the right places, and providing good advice and control were important to those goals. The Surgical Consultants Division was a major element of that. (There were also medical consultants, and other varieties, but as a surgeon DeBakey was in Surgical Consultants.) DeBakey was part of that, but he was also the youngest, lowest-ranked member, although he was promoted during the war. Since the Boards were relatively new and residencies far less structured than now, the consultants evaluated doctors’ credentials and capabilities. 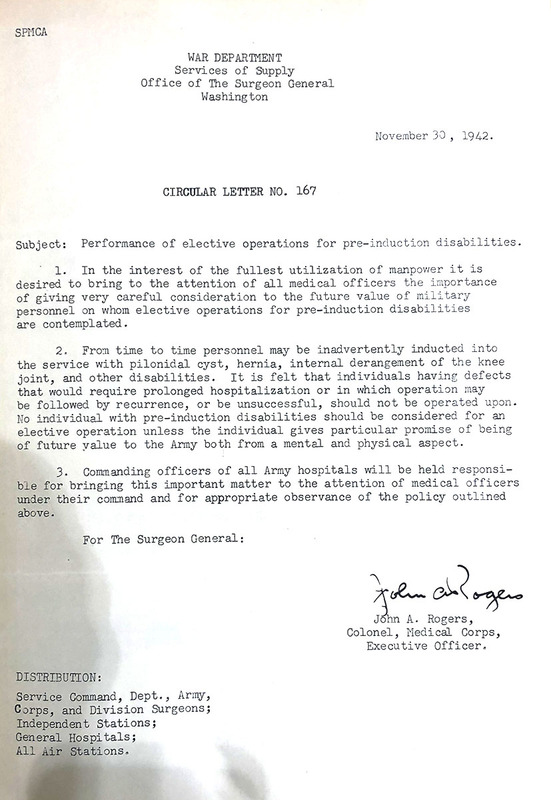 Throughout the war they also worked on policies—for surgeons this involved whom to operate on and what techniques to use. The consultants also played a role in communicating, both to doctors (such as attending medical meetings) and the public through mass media. And they consulted on Army policies on what surgical capabilities were needed at the various steps in the treatment chain. So far, we know DeBakey spent much of the war at an important place in the Army medical system. But how do we find out what he was doing? Here, we run into problems of process and records. Policies were all officially issued by The Surgeon General, some sent out over his signature, some over the Chief of Staff of the Army’s signature, and doubtless some over other signatures—but they were not signed by DeBakey. 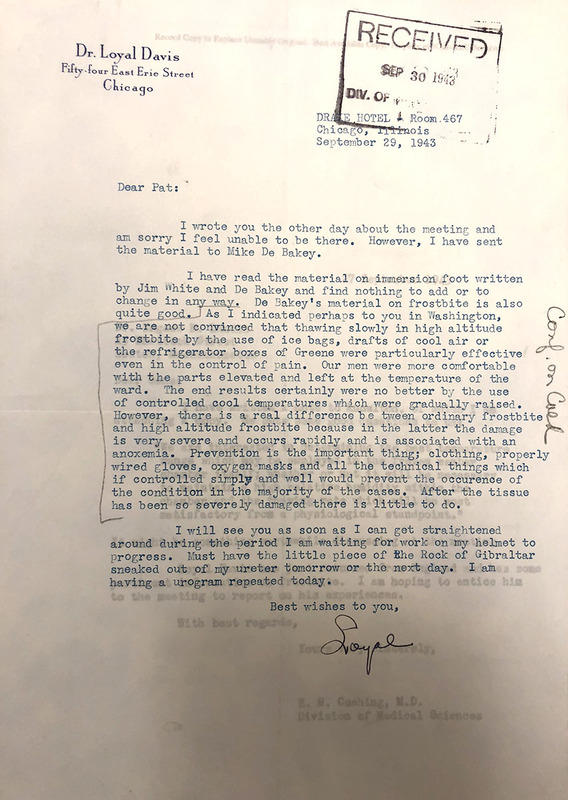 Correspondence from the SGO could be channeled through a liaison officer or some control element—for instance, almost all Army correspondence with the National Academies of Science (which ran Advisory Committees to the Surgeons General of the War and Navy Departments and U.S. Public Health Service) was from Lt. Col. Roger Prentiss, presumably because he was coordinator of research and development at SGO. These procedures mask an individual’s role. In a large organization, many individuals can be involved. What is a particular individual’s role—did they start something? keep something moving through hurdles and amid distractions? get the final version approved? Which of those roles is the most important, or even provable? Human nature being what it is, if something important was done, many will claim to be important in the behind-the-scenes work. For some things, we can be confident who was (or was not) involved. For instance, DeBakey would not be involved in internal medicine, aviation medicine, dental, and other areas. But many things would come through Surgical Consultants Division, and knowing what DeBakey worked on is (so far) haphazard. He apparently worked on policy about treatment for trenchfoot, about treatment of the wounded, and about when to operate for pilonidal cyst/sinus. Given his post-war involvement with vascular surgery, and the high profile of care for the wounded, those first two items got attention, while data-driven analysis of minimizing surgery for pilonidal cysts got little attention. They were important to the Army—tens of thousands of soldiers developed pilonidal cysts or sinuses, and data analysis showed that early surgery caused extra time in hospital, away from duty. Thus telling surgeons not to operate was in the Army’s interests. The way records are kept can also mask individuals. Official records tend to be focused on the organization, and final results, rather than an individual’s work and the many steps along the way. A final policy is (or should be) a record, while the routing slip attached to the front of a report is not a record. Thus the National Archives has the annual reports from 1944 and 1945 of the Surgical Consultants Division, which contain information about the organization’s work. There are other documents about DeBakey’s war years, for instance in the National Library of Medicine, at the Uniformed Services University of the Health Sciences, at the Countway Library, at the National Academy of Sciences. These are fragments—letters to colleagues, and other informal mentions. With more research, we will have a better idea of what DeBakey did, certainly the things he (and the rest of the department) worked on. It may not be possible to detail what his personal involvement was—there may not have been minutes of meetings, likely not memoranda of meetings and phone calls, and annotated drafts of policies are very unlikely to have survived. 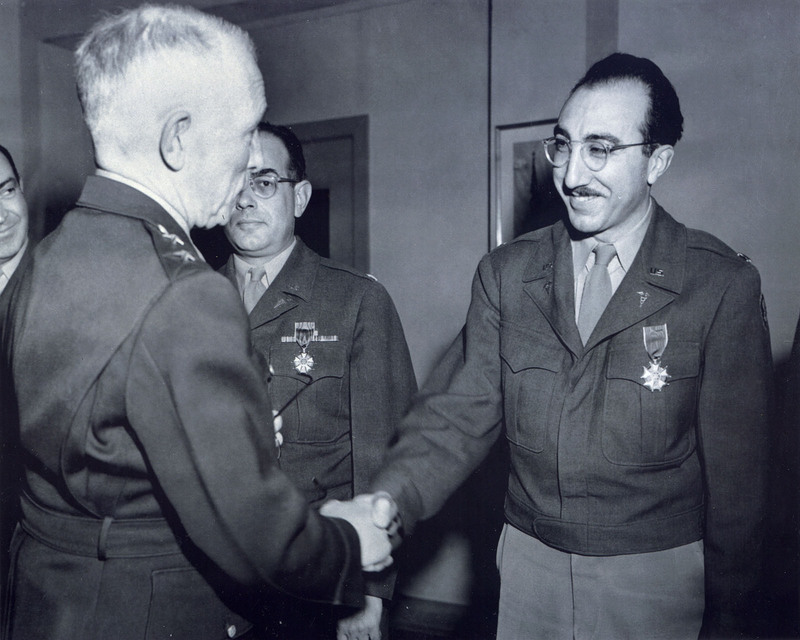 Michael DeBakey served his country well in WWII. He clearly relished his wartime service and stayed involved with military medicine through various ways—on the Board of Visitors of the Uniformed Services University of the Health Sciences, editing several volumes of the medical history of the war, and continued membership of the Society of Medical Consultants of the Armed Forces. By casting a wide net and assembling a variety of small pieces, I hope to help us better understand his contributions. Sanders Marble, Ph.D., is Senior Historian at the U.S. Army Center of History and Heritage. He was an NLM Michael E. DeBakey Fellow in the History of Medicine in 2018.